They always look completely homemade, by hand, but I just love making them. 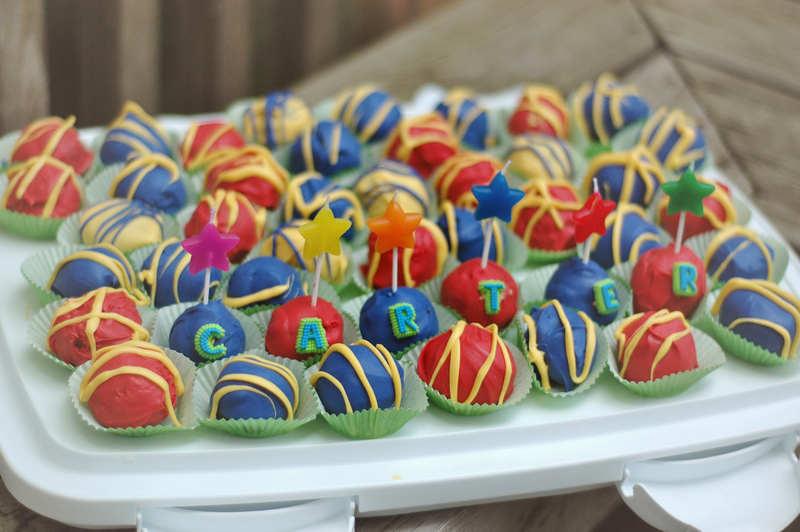 And recently, my friend Annie asked if I could make some cake balls for her son Carter’s Superhero themed 4th birthday party. My response? Of course! Always! 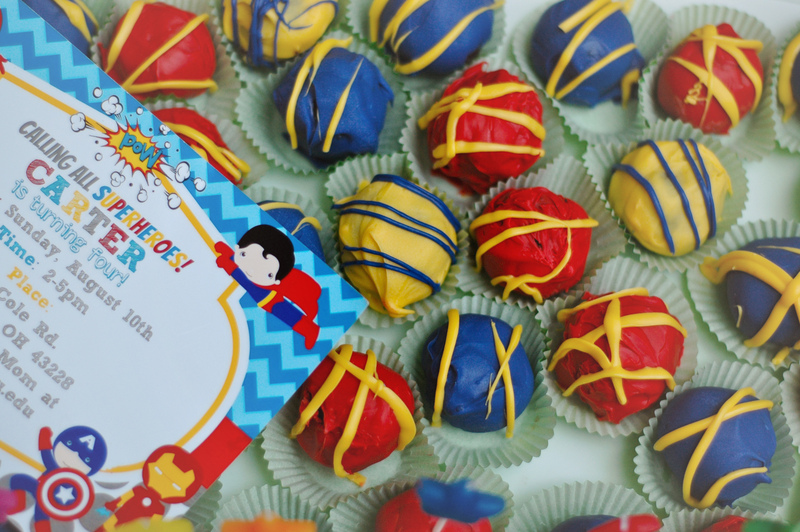 I had such a fun time making these. Cake and icing from scratch is the key – when you use store-bought, ESPECIALLY canned icing, they are just WAY too sweet. I mean, don’t get me wrong: these little buggers are as sweet and rich as you can get. But when you use canned icing, it’s just over-the-top-not-even-tasty sweet. And really, whipping up some icing is not the most time consuming part of this process, by any means. 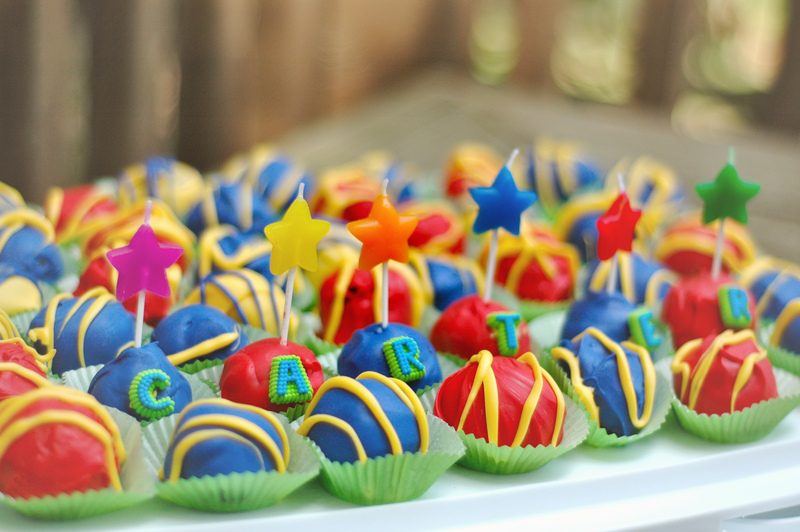 I lucked out finding a few little extra touches, like these cute star candles and those sugar letters to spell out his name. The colors were red, blue, yellow, and green, but I pretty much only added green via the cupcake wrappers, letters, and one of the candles. It was more of an accent anyway! Fun, right?? Annie also had someone make a layered super hero cake and both were a great success. 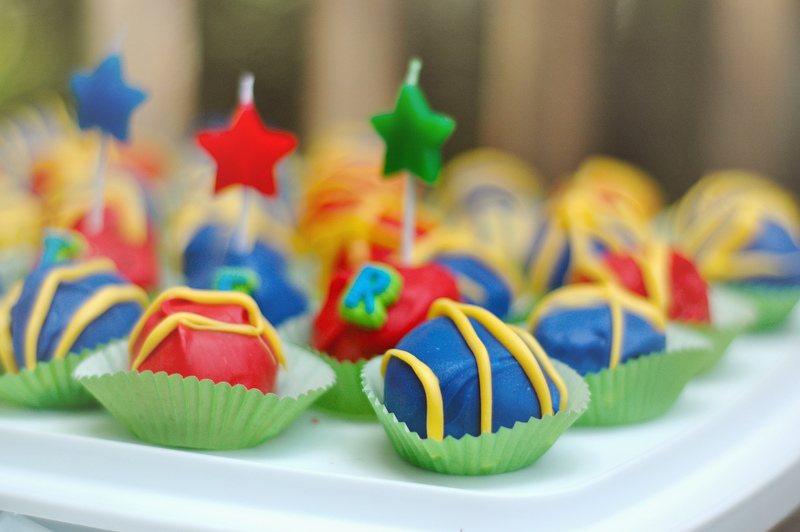 My cake balls may look handmade, but they taste AMAZEballs (see what I did there).